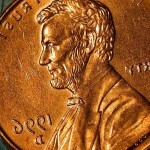 How many drops of water can a penny hold? We’re going to learn how to use the scientific method using everyday materials so you’re comfortable with how it works and how to apply it to every situations. Don’t worry – we’re also going to show you how to do more complicated projects later… but first, let’s cover the basics. What you need: Pennies, eye or medicine dropper, water, a notebook or science journal. We did this experiment with different kinds of liquids: testing the number of drops that the penny would hold of each water, grape juice, soapy water and sparkling smart water. My daugther’s data didn’t allow us to clearly come to any conclusions about the soapy water and the juice. Perhaps there were less drops with these two liquids. However it did look like the penny held more carbonated smart water. Does carbonation increase the surface tension of water and why? I can’t find anything online about this or at least anything that I can understand. Thanks for your help. I told my cat my results and he was very confused. My son, who is anti-school, just completed this experiment and we watched the slowed down drops of water. THANK YOU THANK YOU THANK YOU!!!!!!!!!!!!!!!!!!!!!!!!!! He enjoyed it SOOOOOOOOO much!!! He’s coming up with his own experiments for us to do this week! You’ve blessed our socks off!!!!!!!!!!!!! I got 31 drops on the tails side and 42 drops on the heads side!! Hi Liana – this particular experiment doesn’t have a video, since it’s a pretty simple experiment. Occasionally (as in only 2% of the experiments), you’ll find text instead of text and a video. Most experiments have videos… so if there’s another that you can’t access, let me know so I can help. Hi, I am unable to access the videos. It seems videos have been remove. Let me know how can they be access. Tks! I am a new student of your class. I am excited! I did the penny experiment 12 times!The first time I did a shiny penny from 2013 on tails.I did 3 tests on everything.I got 26 26 24. Then I did the same penny on heads. I got 27 25 25.After that I decided to do 6 more tests. 3 on same penny on heads from a close distance and 3 on same penny on heads far distance.on close distance i got 21 21 15 and on far distance i got 11 11 8. Every time except expirements 4 5 6 i got same number same number smaller number! Is that just a coincedence or is there some reason that it happened that way? Thank you!!! I got 19 on one try. Wow – that’s fantastic work! 🙂 And you know, I have no idea what the name of the shape is because the shape changes with the amount of water on the penny, correct? A perfect ball of water is a sphere, but when you add more, you’d have to fit the curve/shape to a math equation that best describes it, which could be parabolic, hyperbolic, logarithmic, polynomial, or something else. Nice work and great question. What is the mathematical name of the dome shape that the water forms on the surface of the dome? Our children observed that the amount of water the penny holds depends on the distance from which you drop. Those are great experiments! Yes you are absolutely right: oil has a higher viscosity and surface tension than water. The reason for this is that the oil molecules have a stronger bond than the water molecules because oil molecules are very large. These large molecules use stronger bonding forces to stay together. Have fun! i tried a quarter and a penny but the quarter did not work any better than the penny. why? My son who is 8yrs and I just finshied this experiment he really liked the project and is wanting to do more thanks so much! The biggest factor is the size of the drops, which will vary depending on the surface tension of the water (which depends on the minerals and other goodies in the water). When I did this experiment, I picked a coin from my pocket, and it wasn’t especially shiny or new. Make sure if you wash your penny that you get ALL the soap off before doing this experiment, as soap breaks down the surface tension layer and will make the number of drops it holds significantly less. This was a really enjoyable experiment and led to interesting evaluations, thank you. We repeated the experiment three time (for each side of the coin) – we even had an penny from USA! not bad for an Aussie – and averaged 28 drops for the tails and 29.3 for heads. But as we repeated the experiment, each time the coin took fewer drops. We thought that perhaps our constant variable wasn’t all that constant – perhaps each time we cleaned up the water we cleaned the coin as well. Do you know whether the coin that held 70 drops was clean or well used and grimy? Or perhaps it is some other variable we didn’t recognize. Hmmm… good question. Why do you think that is? I did this experiment with both a wet coin and a perfectly dry one, and overall the wet one held more then the dry. Do you know why that would be?? i did this with a quarter and it held 31 drops!! my hypothesis was 10 drops but it held 24!!!!!!!!! I hypothesized 4 drops, but I ended up having an average of 23. This is so cool!!! Great experiment, Aurora!! Very cool experiment! We hypothesized 6 drops, but ended up with an average of 13. Our dropper had a rather large opening. We would like to test it out with a different dropper and different coins. My 6 yo and 9 yo both enjoyed this experiement. I love that there is virtually no prep time involved!